Light pink scarf with people’s names and “8th ARMY AIR FORCE” written in black cursive lettering. 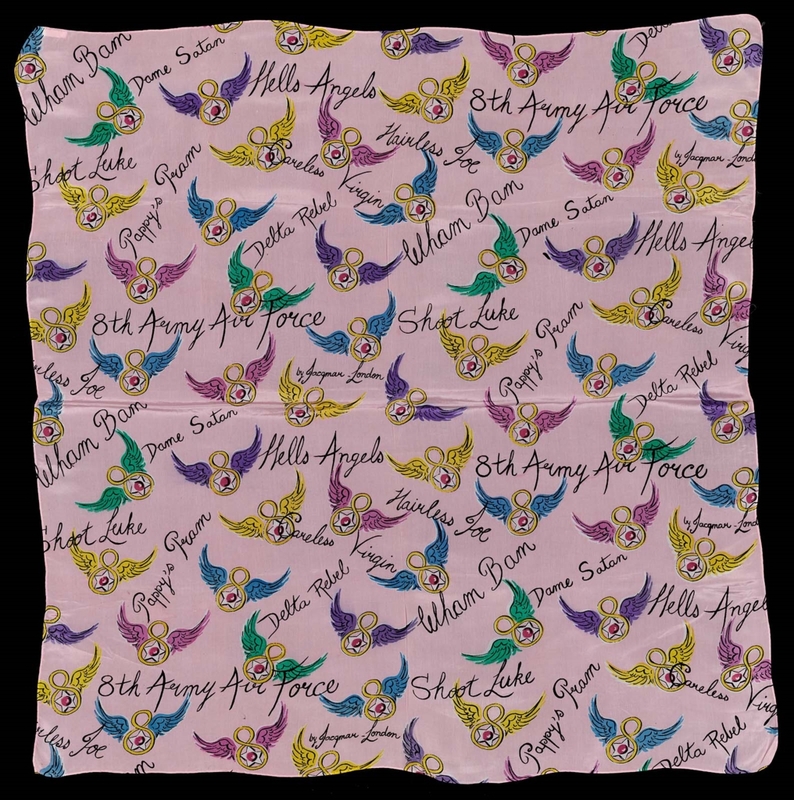 Air force symbols with brightly colored wings (in red, blue, green, purple, etc) are placed all over scarf. By “JACQMAR” printed in corner.